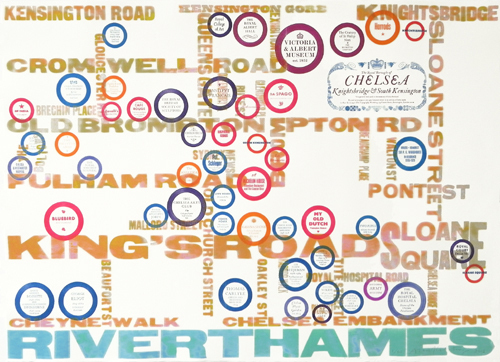 Later this summer, Alan Kitching’s forthcoming exhibition, ‘Mr Kitching’s London’ at London’s Advanced Graphics will include 25 works including several of his idiosyncratic typographic maps. 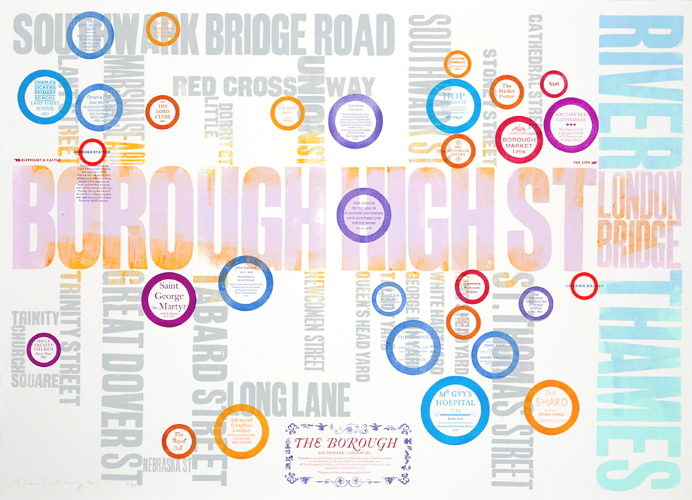 Above: Chelsea: The Royal Boroughs, 2012. 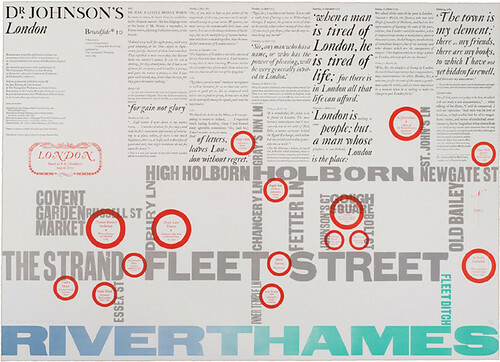 In addition to displaying new works such as Marathon (below), this show marks the first time that a complete suite of Kitching’s Broadsides (1988–2010) will be exhibited together. In ‘Marks on paper’, Julia Thrift’s profile of Alan Kitching in Eye 15, he described the Broadsides as ‘a series of experiments in typography & printing’. Each is a single sheet folded to A4 and sent to friends. 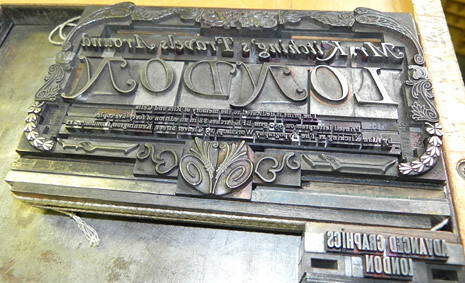 The contents have ranged from specimen sheets to a fellow designer’s change of address card – via poetry, a discourse on Berthold Wolpe and Dr Johnson’s London, 2009-10 (Broadside no. 10, above). See also: In ‘Marks on paper’, Eye 15, 1994. ‘The show must go on’, by Alan’s late wife and partner, Celia Stothard in Eye 74, 2009.